Janet has worked in the not-for-profit sector for 28 years, including 15 years in leadership and management roles. Janet has worked in the Family Violence and Homelessness sector for 4 years and sits on the State Government’s Family Violence Consultative Committee, and last year attended the Council Of Australian Governments National Summit on Reducing Violence Against Women and their Children. Her experience is complimented by a Master of Business Administration and Diploma in Human Resource Management. 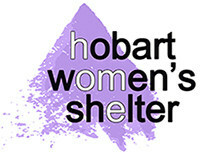 Anne has worked in Community Services for 13 years; working at the Hobart Women’s Shelter since 2010. Anne has worked across all areas of women, child and youth support before embarking on a career in property management. Anne has a Diploma of Social and Community Welfare, Diploma of Youth Work, Diploma of Social Housing, Diploma of Leadership and Management, and Certificate 4 in Mental Health. Anne is a dedicated member of the team applying her support skills within the role of property management. Helen has previously worked in government, community and not-for-profit organisations. She has been actively engaged in supporting women and girls to achieve equality in workplaces, educational institutions and in health services. After graduating with a Bachelor of Education Helen worked for the Department of Education as both a secondary teacher and as the state-wide Gender Equity Officer. Helen has also worked in the trade union movement, initially as Women’s Training Officer and later as an Organiser and State Secretary in the hospitality sector. She has been employed in Community Employment Programs and Employment Services in both Ireland and Australia in several roles, including as a Trainer, Case Manager, Team Leader and Quality Manager.